A bullish market occurs when the online Forex currency is rising. There are some candlestick chart patterns, that can be used by traders to foresee a rise in the Forex currency. These patterns include the hammer, the engulfing pattern, the piercing pattern and the morning star. If there is an Forex downtrend, and then appears a candlestick with a small green or red real body and a long lower shadow, this is a pattern called 'the hammer'. The small body of the hammer implies of the coming of a bullish trend. This means the former downtrend is losing momentum, and that the trend is changing direction and is about to rise. This upcoming rise is an important factor in deciding whether the online Forex currency is changing direction into a bullish candlestick pattern. The long lower shadow can also be a bullish signal, that can point to the fact that the market has rejected the lower prices. An engulfing pattern is when two consecutive candlestick chart figures appear. A bullish engulfing pattern occurs when, after a downtrend, appear a small red line, which is followed by a long green real body. A bullish engulfing pattern looks as if the latter green candle line is engulfing the former red candle line, and this is the reason why it is called an engulfing pattern. 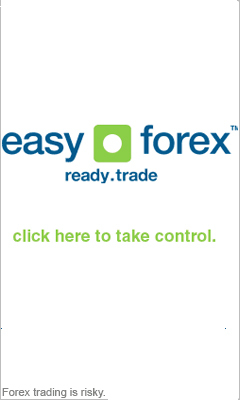 This means the bullish trend has extracted control on the online Forex market from the bearish pattern. This pattern is a bullish reversal pattern that occurs within two day. During the piercing pattern, we first notice a long black candlestick line that occurs after a downtrend. The next day we notice that the currency opens at a lower low point, then closes above the midpoint of the body of the first day's black candlestick. This pattern can inform us about the possible coming rise of the online Forex currency, when we perform technical analysis of the market. This is a bottom reversal pattern of three candlestick chart lines. The first candlestick line has a long red real body, pointing to a downtrend. The second candlestick line has a small real body of red or green, that doesn't touch the first real body and is completely below it. The third candlestick has a long green real body that rises near the first candlestick's real body. This three candles pattern of the morning star suggest a bullish trend is on it's way.